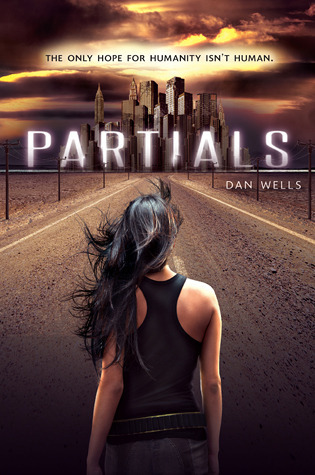 Partials by Dan Wells was a new twist on a lot of dystopian novels that are already out there. I would almost classify this book as science fiction instead. The characters were really strong and the plot kept me turning pages. A must read for anyone worried about genocide via incurable disease. Surrender by Elana Johnson. I was a little worried when I read that this was a companion novel to Possession and not a direct sequel. I loved Jag and Vi, and I really did not want to leave their story line. Those feelings promptly disappeared once I was in the heads of Gunner and Raine. In fact, the more I read the more I liked the characters and I would even go as far as to say I like these characters more. We still find out what happens to Jag and Vi and get a new set of character to care about in the world. Although my one complaint is another cliff hanger ending. Good thing Elana announced that there will be a book three. I can't wait. Change of Heart by Roseanne Wilkins. This isn't my usual read. I normally stick with the genre I write (YA sci-fi & fantasy) and I very rarely read LDS novels even though I am a member of The Church of Jesus Christ of Latter-Day Saints. Roseanne is a good friend and neighbor of mine who agreed to help me edit my MS so I helped edit hers. I read this book without the last 5 or 6 chapters. It KILLED me. I had to know what happened next. Luckily (almost a year later) Roseanne finished the story and gave me a copy. Thank goodness she did, I was dying not knowing what happened to Christina. Great characters and an even better suspense/love story. If you're LDS, pick this one up, you won't regret it! That was it for the month of July. Hopefully I'll do better this month. If this baby comes then I'm sure I'll have plenty of late night feedings in which to read. What was the best book you read last month? Elana will be very happy with that review! I can't remember most of the books I read in July - which does not bode well for their impact on me! Probably the best reading I did last month was a re-read of Lloyd Alexander's Westmark trilogy. Sometimes old favorites are just what we need. Two more weeks - hurrah! There is light at the end of that tunnel! I've been doing a lot of critiquing. Those manuscripts were great. I liked Fire by Kristen Cashore. I think Insurgent by Veronica Roth was my favorite book I read last month. I loved Divergent so I loved the continuation of the story, though Tris was a little whiny at times! I read only one book in July because I was so busy with so many other things. Rise From Darkness by Ciara Knight. I loved it! Glad you enjoyed the books. I want to read Partials. But if things go as I hope they do, I'll be an extremely busy beaver very soon. I loved Surrender and agree that I'm also very glad she's got the third book coming out. July was a pretty poor reading month for published items. I only read Article 5. Pretty good post-apocalyptic with some angsty girl-guy issues that, thankfully, don't ruin the book. But it's been wonderful reading and critiquing for others. I have a lengthy novel I'm working on now and am enjoying it a great deal. Can't wait to see what the author eventually does with it. Glad to hear there's a dystopian-style novel that twists the usual; a lot of books in the genre tend to feel the same. 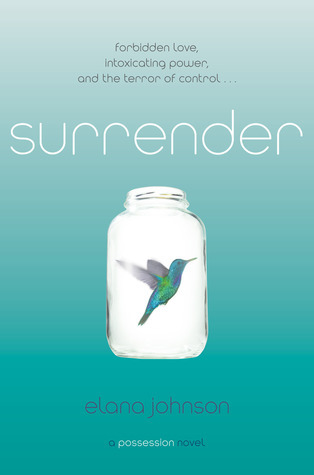 I really, really want to read Surrender. Best book I read last month was Looking for Alaska, even if I threw it across the room and couldn't stop crying. Oh nice! That first book especially sounds interesting. And hey congrats on your pregnancy! How exciting!! Oh, love the cover of Partials. I'll have to go with some others and say that the books I'm critiquing were the best stuff I read last month! It's a new thing for me and I'm loving it. I have to mention my CP Siscia Miles' book Lady Fate's Game, which was actually published when I read it. She needs more recognition! thanks for the reviews! been wanting to hear more about partials and surrender!